I’ve been watching an anime series based on Victor Hugo's novel, an anime series called Shōjo Cosette, with two of my friends. We’ve still about ten episodes to go, but I think I’ve seen quite enough to talk about my thoughts on the subject. 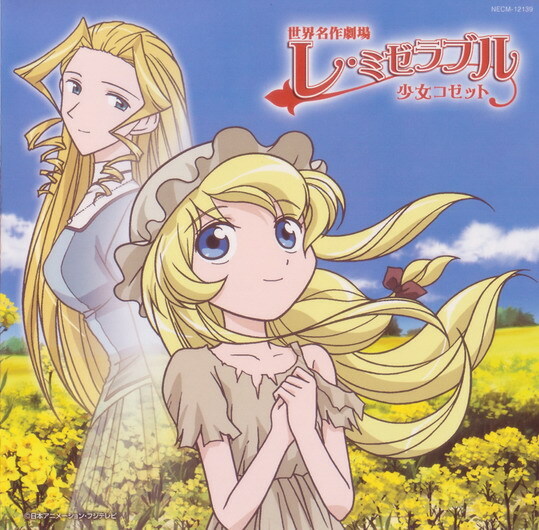 In my opinion, Shōjo Cosette is firmly among the most boring, most tedious Les Misérables adaptations imaginable. There are things to like, I won’t deny that. 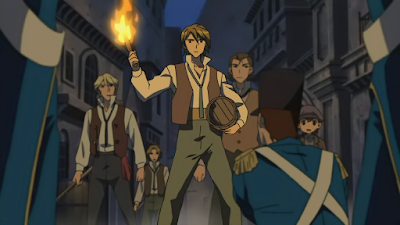 Some of the character designs, like Enjolras with his shiny blonde hair and almost feminine beauty, have escaped straight from fans’ illustrations. The anime has more details from the book than any other adaptation, I'm sure, and doesn’t leave any characters out like so many other versions do. But, to me, the bad part really surpasses the good. First of all, the series has been made mostly kid friendly. Why on earth would you want to do that? You could have an interesting Les Mis series with focus on adults, or teenagers at least, but Les Misérables for kids? Why don’t create Saturday morning cartoons of The Divine Comedy, Crime and Punishment and The Shining while you’re at it? When I was a kid, I got bored when watching cartoons if there wasn’t humor, action or violence, well, all the time. I can’t see any kid really enjoying the drama of Valjean’s inner struggle, even though said struggle has been explained so clearly even a three-year-old should get what’s going on. 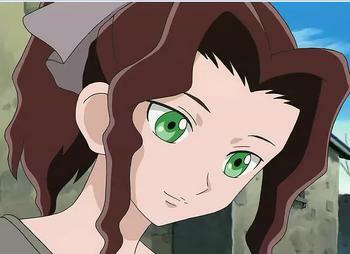 Shōjo Cosette's main character is, surprise surprise, Cosette. Okay. She isn’t the biggest nor the most interesting character in the book, but she could be made better with little rewrites. Right? Unfortunately, instead of giving her more personality, the anime takes away the little she has. We start when Cosette is three years old and finish when she is reaching adulthood. During this time she doesn’t grow up at all - the most development I’ve noticed is that she doesn’t scream “yay!” so loudly as a teenager anymore. In my eyes, she is like a bad mock-up of a Disney princess: standard beauty with blue eyes, blonde hair and so naïve, so childlike personality it hurts. In the book she, to me, seems naïve but also somewhat brave, has some sense of humor and can even get a little angry or annoyed at times. In the anime she has no character whatsoever. When she's at the Thénardiers, she doesn’t rebel, she doesn’t get depressed. She just starves, gets beaten and is still happy and content, looking more adorable than a basket of tiny little panda bears. She worships her mother even when it seems like she abandoned her. And when Valjean adopts her, she is happy, occasionally she giggles, she speaks in her high-pitched voice, and doesn't grow any character at all. She doesn't even get nice dresses. Let alone being innocently seductive enough to make Marius sick with love! We don't know what Cosette likes – except from both Valjean and Fantine, whom she adores –, what she dislikes, what she fears, what she hopes. We don't know anything about her hobbies or friends. She is just an empty shell of a character. The Thénardiers are vile, which is good, but somehow so annoying I’d just want to punch them unconscious. It may have to do with Madame's shrill voice, which feels like someone's scratching my eardrums, or with the fact that their theme music is ten seconds in lenght and gets looped again and again and again in their every. Single. Scene. But for example Gavroche and Éponine fill me with unadulterated annoyance. Both have high sense of moral all of a sudden. Gavroche is, besides magically avoiding getting older, and besides looking like a squirrel, almost wimpy. He simply wouldn't shout sassy remarks at anyone or sing dirty songs. 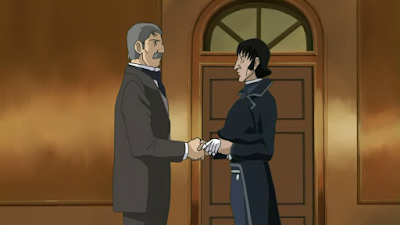 For example, instead of greeting Thénardier with “oh hey, it’s dad, well whatever” when saving him from the jail, he gives him a speech on ethics. Éponine, too… She has a bit of her original insanity and jealousy coming through every now and then, but she's still far from the novel's poor little street girl. She is beautiful, of course, and so very good and pure and amazing she doesn’t even eat the food Montparnasse gives her because it’s, oh my, stolen. In the most confusing part, she confesses Cosette she was jealous of her, and especially her caring mom, when they were kids. What. "Are you buing a gift for your wife?" There is no feeling of suspense either. Say what you want of the 1998 movie, but there most of the action is at least a little exciting. In this show, things just happen. The pace is incredibly slow. Everything is shown, nothing is implied or left at the viewer's own imagination. Even action-filled scenes, like Valjean escaping Javert through the streets of Paris and the barricade, feel slow and boring. Some parts where the creators of this could have had fun, like the characterisations Les Amis, have been sadly neglected. You could give them lots of things to do: besides Grantaire drinking, which he does everywhere, all the time, you could, for example, have Joly checking his tongue in the background, Combeferre reading, Bossuet being bald, Bahorel in daring waistcoats (we still haven't figured out who is Bahorel here), Jehan watering some flowers. But no. They just stand or sit, looking like each other. The cinematography is some of the most dull I’ve ever seen. There are no surprising angles, colours or lighting. Come on – this is animation, you can do whatever you want! But no. 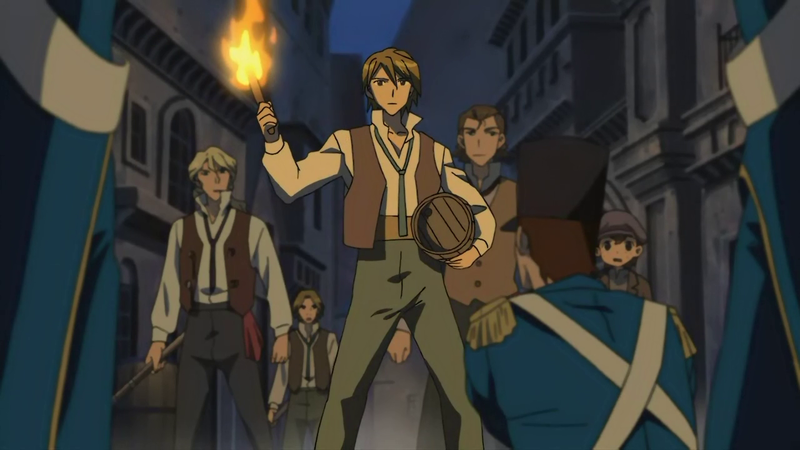 The only innovative moment so far was when Enjolras and Javert spoke about how their actions make France a better place to live, and they kept cutting from one to another, contrasting the two characters. Otherwise, we have standard shots from standard angles with no zooms and hardly any pans. There was a sunset with red tones in colouring once, but otherwise the colours are mostly found from from a pack of 24 crayons. Take Cosette and Marius’s scenes, for example. You could give them a beautiful garden, flowers and birds... Maybe some of those pink flying leaves you see in cliché anime pics could even work? There could be a sunset, a sweet pink glow on everything, Cosette blushing and then them kissing when the first star appears in the purple sky... The whole scenery could be really romantic! But, again, nope. You get a normal, clean garden with no flowers, birds, romance or mystery whatsoever, with some watered-down Marius and Cosette dialogue – what happened to the sweet awkwardness from the book, where did Marius's speech and Cosette's "oh, mother!" go? The music is, sadly, annoying at the best too. The tunes are really short and get repeated in certain character's scenes until you want to poke your ears deaf, even if some of them seem pretty when you first hear them. The voice acting is mediocre. I've a feeling the actors aren't bad, but the material they're working with is too thin for them to shine. No one gets to shout, no one gets to whisper, hardly anyone even ever laughs. Kudos for the person who made the English subtitles though, they're excellent! Finally, the animation. It doesn’t have quite enough frames per second to seem natural, and things like the lack of lip synch felt a little jarring to me. The budget, apparently, hasn't been really big, since the camera is often behind the speaking character, or things are said in voiceover while showing a still picture, probably to avoid animating costs. Even characters walking seems unnatural. The characters aren't, ironically, very animated. The range of expressions and effects used is tiny. The creators of the series probably thought exaggerated effects would make the show too cartoonish, but hey, it is a cartoon. If you can't use much expressions, or have a compelling dialogue, please do something to give us the illusion the characters actually feel things! As a whole… You could have a brilliant animated series of Les Misérables, I'm sure of that. This is not it. 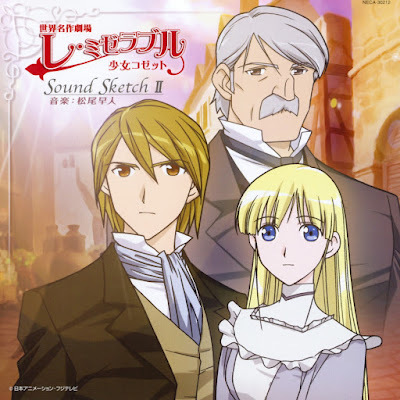 With only ten or twenty episodes and a focus on older viewers, this could've been good, but as it is, Shōjo Cosette is a boring mess. Even though, at 52 episodes, the anime is probably the adaptation that keeps the most details from the book, it lacks almost all feeling. The death of some characters has actually felt relieving to me and my friends - we don't have to listen to them anymore! It also takes forever to watch (we were crazy to take this as a project, I'm ready to admit that), so if you’re a really fast reader, you probably can do a quick reread of the original novel in the time it takes to watch this series. Others may have different thoughts, but my opinion on this series is that your time is better wasted elsewhere. The pictures have been found from all over the internet. I own none of them. 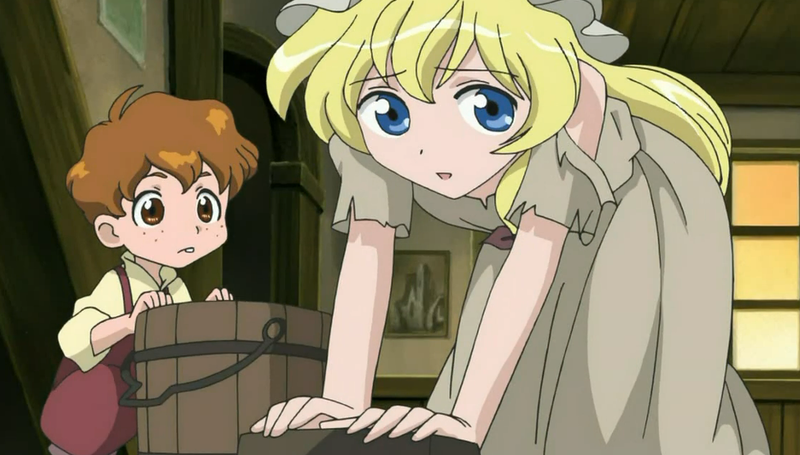 I'm finding it hard to try and respect your opinion, after all, Shoujo Cosette is actually FOR KIDS! It's an anime for gods sake! If you don't like then don't go making fun of it. It, in my opinion is much better than some adaptations, for example, the mini series made in 2000. However, that's just me – if you enjoy it, there's nothing wrong with that! We're both entitled to our differing opinions.